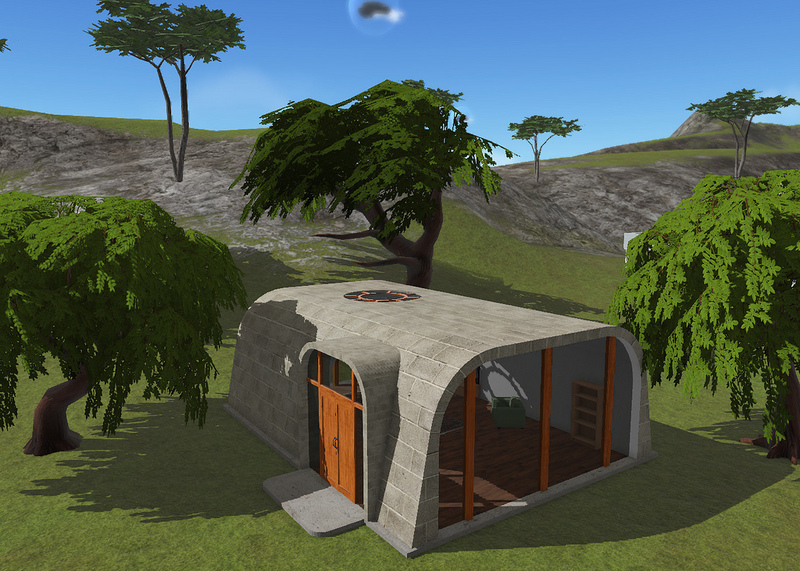 Have you ever thought about alternatives to the most common model of land ownership in Second Life? Typically there is an estate owner, also known as land baron, who rents parcels to the residents in his (or her) sims. He is the dictator, feudal lord, boss, master or whatever word you prefer. If you want to live in his land, you better try keep good relations with him. If he dies, who will inherit his land, or does it vanish overnight without warning, erasing all your group-owned items? If you don’t like this kind of model, you may be interested in knowing, that there are alternatives. You can move to Linden-owned mainland or rent a tiny Linden home. Many are not happy with the almost unlimited freedom of mainland, which is often misused, and the Linden Homes lack customization options. Democratic ownership of land is an interesting option. All the decisions are made by the community itself, that represent the whole population. You can affect to things, or at least have an illusion of that. Democracy involves always politics, that can be challenging from time to time. The oldest democratic community of the Second Life is known as the Confederation of Democratic Simulators (CDS), which was founded in 2004 by group of virtual democratic pioneers. Originally it started as Neualtenburg in the Anzere mainland region, but later was moved to a private sim, called Neufreistadt. Linden Lab turned the settlement in Anzere into an infohub, which can be visited even nowadays. On course of time new sims have been added one by one, and now the confederation consists of five sims with three three or four themes. Neufreistadt was founded in 2006 by moving Neualtenburg from mainland. Neualtenburg itself was settled in 2004. Originally Locus Amoenus was of the Roman theme, but was converted to Tuscan in early 2014. One of the founding principles of the CDS is, that the citizens build the public infrastructure by themselves and grant to the community ownership over their creations. Naturally this means, that talented artists and builders are needed in the community. Privately owned parcels can naturally have any building as long as they are in harmony with the building code of the local covenant. Events are another nice dimension of the CDS. There are annual events for inaugurations of new Representative Assembly (the parliament of the confederation), Octoberfest, Floralia and some others. Despite of the themed festivals, the CDS is not about role playing. Political year of the CDS consists of two terms. Elections are held, to choose the Representative Assembly (RA) and the chancellor, who is a kind of prime minister of the community. The term starting in June 2014 will be the 21st term of the confederation. There are some excitement in the air, because a new region may be added as the economic depression is over and the community has started to face overpopulation. It will be interesting to see, what the future brings for the CDS! Please, fix the Second Life ToS soon! We don’t feel comfortable, that Lab clones our immaterial rights and makes it too complex to use 3rd-party textures (and other elements) in SL. Myself I have been very unmotivated to upload anything to Second Life since the ToS change in last August. 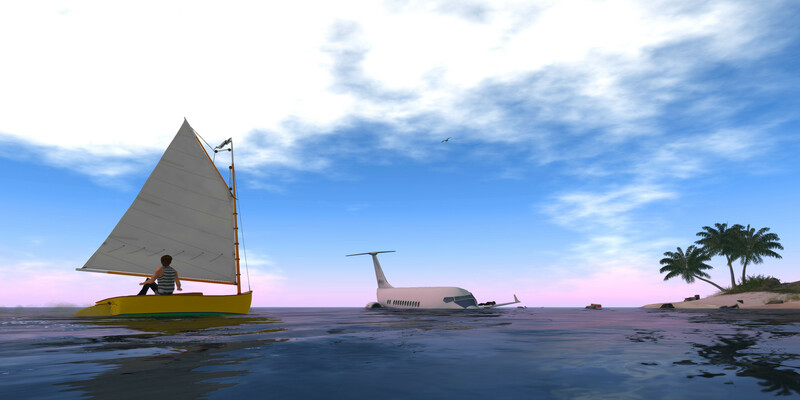 Please, have a look at United Sailing Sims area around the Blake Sea. There is a wonderful sailing community and the estates are beautiful! Does the development and continuation of the area get the full support from your staff? Happy community is the best marketing tool, you can have. You can make us happy by listening to us. Sometimes sailing trips can be full of surprises. Anyone needing a ride…? Until last autumn we Second Life residents witnessed many negative things facing us. Linden Lab’s Jira was closed. The last names were not brought back despite of the numerous voices of the residents. Content creators were spitted on their faces, as Linden Lab made them swallow the new terms of service. Decline of the land mass also shed a shadow over the future of Second Life. But then Linden Lab got a new CEO, Ebbe Altberg, appeared and seemed to take residents’ concerns seriously, even if many considered that just a “honeymoon” of the new grand leader. But does he really listen to his people? Would he see Second Life as an unique platform of digital culture instead of just a capitalist back box of making profit? The first concrete signal of the emerging new era was received, when Second Life Jira was re-opened in February 2014. The residents were able to read, create and comment on tickets again. It’s now possible to vote for and comment on some important issues, like SVC-472 (Region Crossings Fail), SVC-7125 (Bring Back Last Name Options! ), SVC-2820 (Allow group IMs to be muted) and STORM-1716 (Mesh Deformer for tailoring mesh clothing). Wow! I’m not sure, if it’s just my subjective observation, but I would say, that Second Life land business is doing well. Just have a look at United Sailing Sims area, located east from the Blake Sea, and you won’t see many free parcels available there anymore! The same applies to the Confederation of Democratic Sims. Has the decline of land sales turned finally? I (Altberg) am working with legal council to figure out the right wording so that they have what they need to protect them, but that ensures that we all own the rights to our content and what we create. they even now and when the tos was announced, had no intention of ever taking our stuff nor was it their purpose. Content creators, that are aware of their rights, should find this as a really amazing piece of news. This would be the first time in Linden Lab’s history, that I’m aware, that the lab corrects its prior decisions, showing that they listen to people. I’m impressed! Still, we have not seen the outcome of the change, but there is true hope now instead of just hot air. Second Life has really a potential to be The Platform for content creation and creativity, but will they be on that position in the future or become just another mass-entertainment-oriented company? Well, that will be seen, but at least the current trend looks promising. After a long break, it was nice to sail in the Blake Sea again and in the surrounding estates too. It seems, that there have been some restructuring in Sailors Cove. Trudeau New York 30 is a nice boat, even if needs a lot of open water. There is no place, where you wouldn’t be watched. I saw this drone in Second Life. It’s a fact, that we are been watched — both online and offline. If you see strange flying vehicles hovering over your home, you can recognize and deal with them with help of Drone Survival Guide. The guide is written in both English and Pashto language (which is spoken in Afganistan). 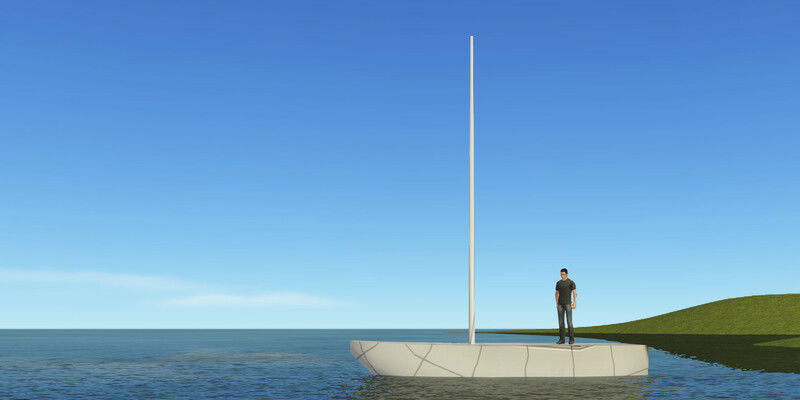 I wanted to find out, if it was be possible to build a sailboat in Cloud Party. 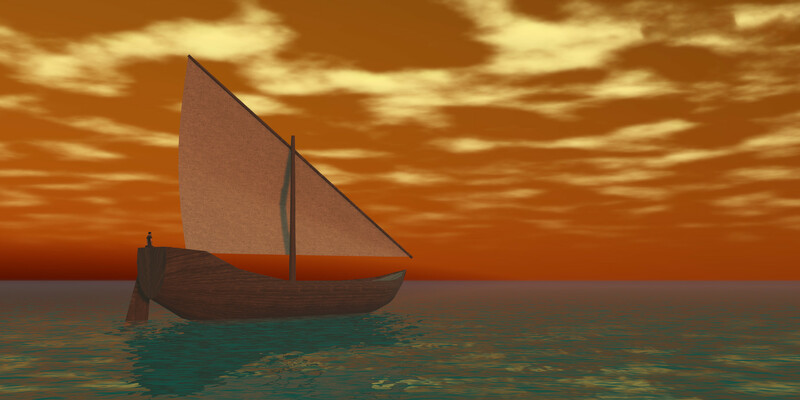 One of the content creators was kind to build a simple reference sailing ship. It didn’t support collisions, advanced sailing physics or even keyboard controls, but still it was an exciting experience and I’m thankful for his demo and helpfulness. 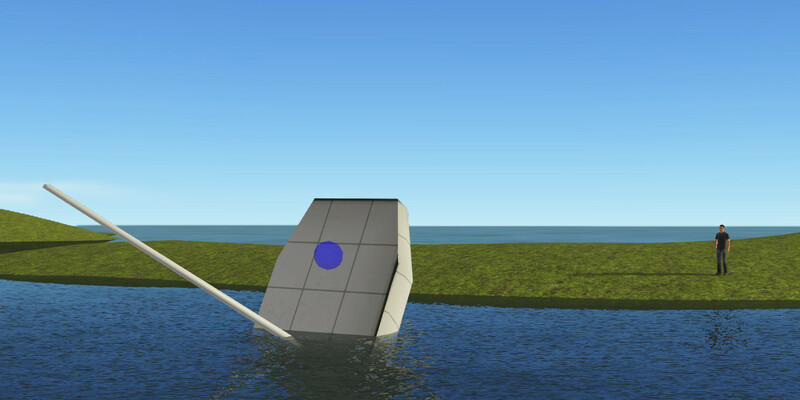 The only solution, to prevent the boat from sinking, was to disable gravity and simulate floating behavior in the sailboat script. That may not be the most elegant solution, but currently we don’t have anything else. Since keyboard controls (namely the arrow keys) can’t be dispatched to the boat script, the sailboat was controlled with local chat commands. Eventually the boat moved, turned and heeled without major issues. At moment the boat is closer to a motorboat than a sailboat. Still, I’m happy that the proof of concept succeeded! Do you remember the golden years of Second Life, when the virtual world was growing and everybody was excited about the future? Many saw Second Life as a pixel revolution, which would become a 3D Internet one day. But it didn’t and it won’t. The long term trend shows, that Second Life land mass is shrinking steadily and the current Linden management lacks vision, how to fix that. Meanwhile its competitors are becoming stronger and stronger. 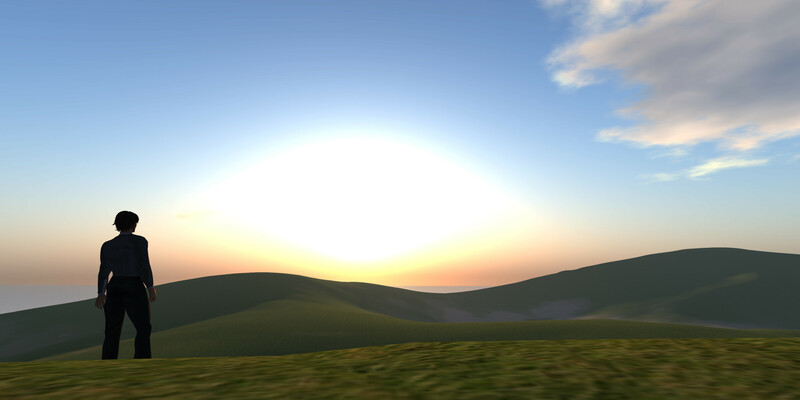 Recent statistics show, that OpenSim-based virtual worlds, especially InWorldz, are gaining popularity steadily. 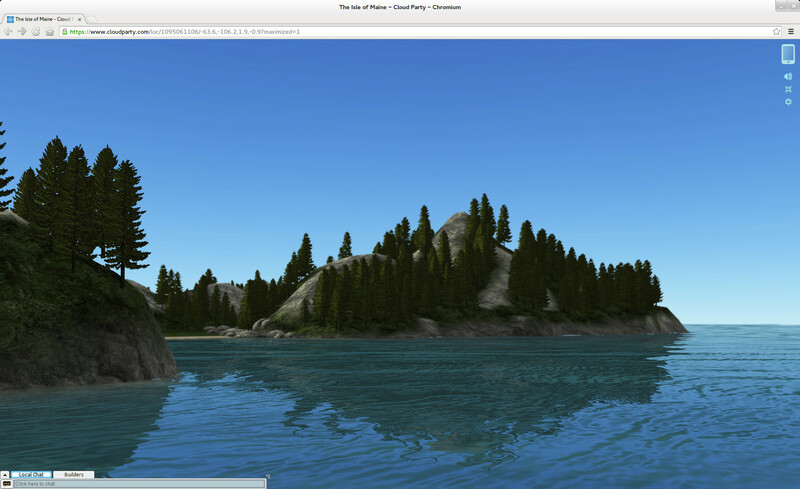 I feature two interesting alternatives to Second Life below shortly: InWorldz and Cloud Party. OpenSim-based technology is improving little by little. It’s a project to build similar server software like the one running in Linden Lab’s clusters. As the name implies, OpenSim is open-source software built by community and contributed by some of the major commercial grids too. On viewer-side we can use either Third-Party-Viewers (TPV) or grid-specific viewers, that both are based on Second Life technology. InWorldz is one of the leading grids currently, according to the statistics. 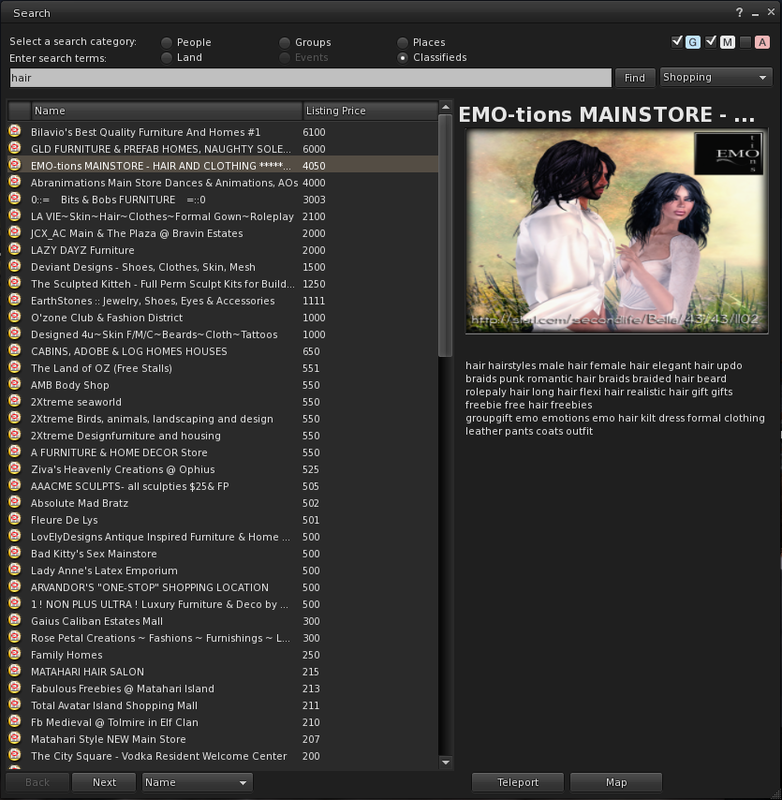 Many Second Life content creators are selling their products in InWorldz too. It’s not difficult to find high-quality skins, hairs, clothes, houses and other goods there. Some time ago InWorldz even asked ex-Linden developer, Karl Stiefvater (Qarl Fizz), to implement clothing deformer in their viewer, which is a branch of Firestorm. Other cool technical enhancements are Nvidia physx integration and the phlox script engine. But what about the world itself? Since the viewer-side is practically same as in Second Life, it looks and feels same too, that lowers learning curve dramatically. When I signed in InWorldz, my first question was, how to find shops and destinations, since there is no marketplace or destination guide. Currently Firestorm and Kokua lack V1-like searches, that are required to make in-world search to work, but InWorldz viewer supports them. Kokua is planning to add it in the future. In addition to content and technology, social life is very important part of virtual worlds. If you are a new resident, you will end up to InWorldz Desert Island (IDI), where you can find mentors and other people, to ask questions and recommendations. There is also a board, which gives you a long list of landmarks to different stores and places. To find events, I was recommended to join two groups, called “Where Can I Find It” and “Pulse of Inworldz”. It was an interesting co-incidence, that I met a content creator in InWorldz Desert Island. She was very upset because of the recent ToS change of Linden Lab too. For some reason, I had problems with world map search. It couldn’t find anything, but remained in searching state. I contacted to InWorldz support, who responded quickly, that they will ask developer to check out the situation soon. This was impressive, compared to Second Life support. The world of Cloud Party is different from Second Life or OpenSim grids. There are islands (also known as “builds”), that are like isolated planets in the universe. You can make them look exactly as you like. There are many builds, that look like nature, but some others are surreal. There is no such thing as water level by default, but you can create large volumes, that look like water. So far I don’t have any information, if it’s possible to swim or sail on them. There is a marketplace, where you can find different kinds of things, like houses, clothes, plants, etc. Still, the selection is very humble compared that of Second Life. That makes your freedom to customize your avatar limited, but the selection is improving slowly, as content creators are becoming interested in the world. A fascinating feature of marketplace is, that you can sell building components and get royalties of their use automatically, when the derived works are sold. You can find people in the public places by keeping your eyes on the “active” tab of the navigation app. Some of them are from Second Life, others not. There is a mix of people with pseudonym names and Facebook-based real life identities. If you want to have a private place, it’s best to become a subscriber, that includes far more advantages than SL premium account. Cloud Party still lacks the critical mass of active residents and content creators, but it is improving steadily and has a lot of innovation. The purpose of this blog is to try find cherries in the jungle of uncountable choices in Second Life™. The primary focus is on sailing, but there will be other more or less related subjects covered too. I hope, you enjoy your visit.